One Card. Lot's of Uses. Here in Alberta, every season is rated as severe driving. Your vehicle’s lubricants break down quickly under extreme heat, bone-chilling cold and damp or wet weather. Do you know what that does to your oil and other vital fluids in your vehicle? Lube City ® Express Oil Change does, we can help! All Lube City ® services are warranty approved for all makes and models of vehicles. Come into one of our twenty-eight locations today and let us service your vehicle and vacuum its interior while you relax in our comfortable waiting area and enjoy a complimentary beverage. We are open 7 days a week and on holidays in most locations throughout Alberta. You can find us in: Calgary, Edmonton, Whitecourt, Stony Plain, Beaumont, Blackfalds, Fort Saskatchewan, Leduc, Sherwood Park, St. Albert, Strathmore, Cochrane, Airdrie, Brooks, Grande Prairie and Drayton Valley. We know your days are busy and you have a lot things on your mind. Maintaining your vehicle does not need to be another chore. 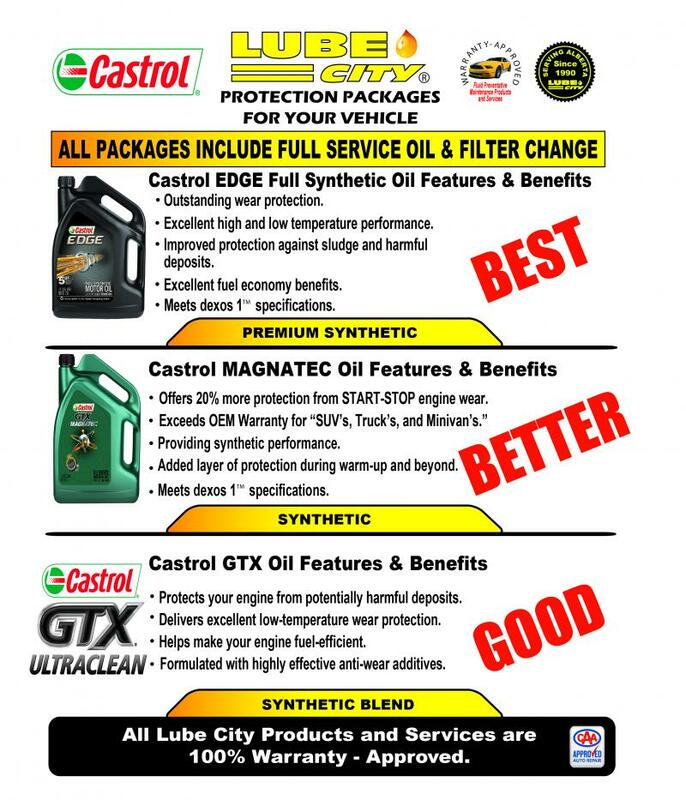 Let Lube City ® take care of what we do best: servicing your vehicle. With the peace of mind knowing that your vehicle is being well maintained in the hands of professional technicians at Lube City ® Express Oil Change, you’ll have one less thing to worry about! We want to be your #1 choice for drive-through oil, lube and filter service! Find a location near you! Lube City ® can offer you a complete fleet maintenance care solution.